Craft Time and Cupcakes: Exciting Things! Congratulations Kerri! So Exciting and your project is so cute! Hi there! I'm so excited to find your blog. 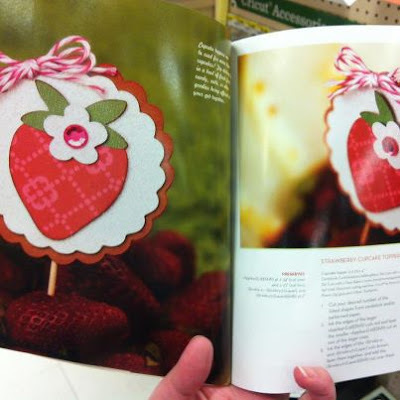 I am totally in love with the cupcake toppers I found in the Cricut book. That's how I found you!! :-). Just bought my first cricut and cuttlebug and I'm so excited to learn more. I think I came to the right place! Congrats on being published. I look foward to seeing more! Thank you so much Claudia. So happy you found me in the magazine. You are the first! I am so excited to focus more on my crafting and I hope you'll follow along and see what I do in the future! Make sure you check back Monday to learn a little more about me and hear my big news!